People’s love for travel and their passion for keeping these memories alive essentially inspired us to create our Travel Stamp Product Collection. 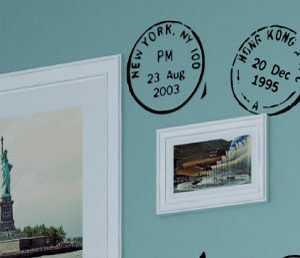 Part of this Postal-themed wall-art is our selection of Postmark products. History tells us that the first postmark, also called “Bishop Mark”, was first introduced in 1661. We’ve established how people, especially collectors, are enthralled by the geographical and historical backgrounds of these stamps, tying them to the exact places and dates they were used; while others simply love them for their graceful and timeless antiquity. 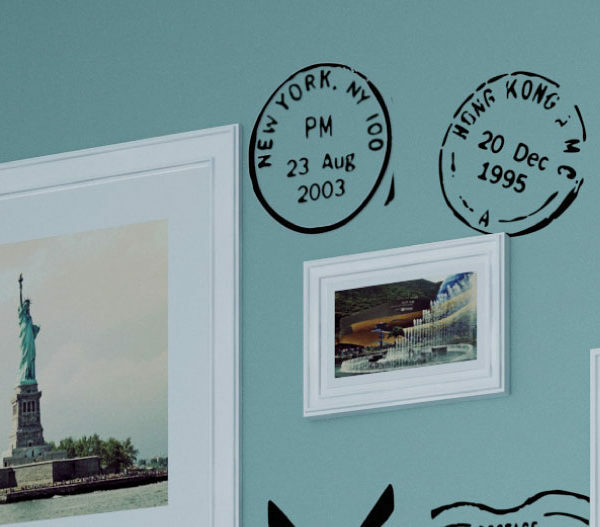 Sparked by these fascinations, and our desire to offer custom-made wall decals that help bring back precious memories of distant places, we designed our collection based on the stamps’ authenticity and old-world charm. We made sure that our products reflect the aged postmark’s appeal in its “worn-out state” by making them somehow “less than perfect”. This means that some parts of the design are either missing, faintly or unevenly outlined, to emulate its classic qualities. Other than that you get the same well-crafted wall decal consistent with all DecorativeLettering products. With our Postmark collections, you can create beautiful photo walls that reflect your own unique, personal style. These postmark wall decals are made from durable resins that can withstand extremes of cold and heat. There is no clear film around each decal, so even up-close they look like hand-painted stencils, minus the time and trouble. They’re also pre-assembled and pre-pasted on a single sheet so they are easy to apply. 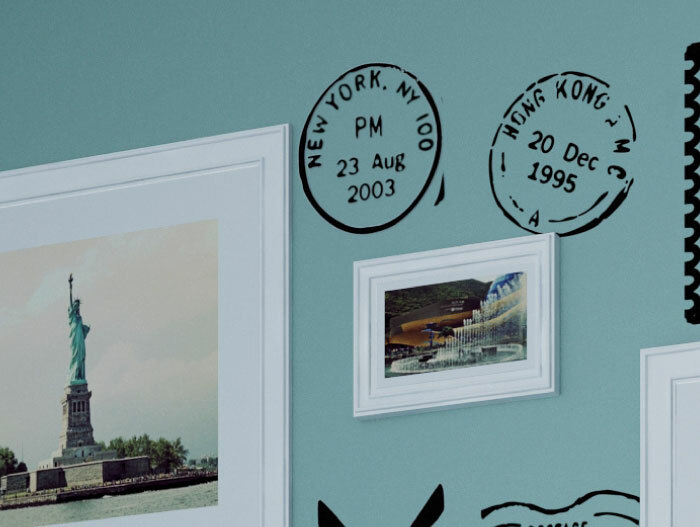 And because our products come in rich, lasting colors, you will enjoy these postmark wall decals with their aged charm for a very long time.